FANTASTIC 140 GRAM CLEAR WITH WHITE/RED SPLATTER VINYL. 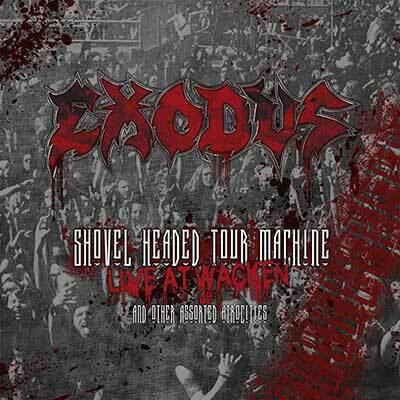 "Shovel Headed Tour Machine" is a live album by thrash metal legends Exodus. It was recorded at Exodus's 2 August 2008 performance at the Wacken Open Air Festival in Germany. • "Shovel Headed Tour Machine" is a live album by thrash metal legends Exodus. • It was recorded at Exodus's 2 August 2008 performance at the Wacken Open Air Festival in Germany. • A must have for fans of Overkill, Slayer and Testament. • FANTASTIC 140 GRAM CLEAR WITH WHITE/RED SPLATTER VINYL.